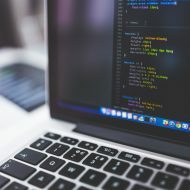 So as a continuation to the previous article I want to expand the entire process of Coding Style with steps you can use in your own coding practices and as the basis of a Peer Code review process. These instructions are set up for Sublime but are mostly tool agnostic as long as a similar plugin can be found. This process will take a few minutes, but it will save you so much time I don’t think you will mind. While it’s good to be aware of all the recommendations so you can use them naturally when you are coding, rely on tools as much as possible to automate code cleanup. Grab Sublime from http://www.sublimetext.com/2 . It’s $70 for a User License, but it’s worth every penny IMO. You can evaluate it before you buy it to make sure it’s right for you. Install the Sublime Package Control tool using the instructions from https://sublime.wbond.net/installation#st2. Install node.js from http://nodejs.org/. This is required for JSHint. When the Plugin window pops up start typing the name of the plugins, then press enter to install. JSHint and JSBeautify both work on .js files, so to test create a test JS file with this content and press Ctrl+Alt+F to format it, and Ctrl+Alt+J to JSHint it. If everything is installed correctly you should get a list of errors in the script. This refers back to the last post and is the first thing I usually look for in a code review. Using JSBeautify makes this very simple, just run it, I accept most of the defaults, the only thing I might change is the indent_size setting to “4”. All plugin settings can be tweaked in Sublime by going to Preferences > Package Settings > Package Name > Settings Default. All changes should update immediately. Avoiding poorly named variables, functions and records is essential to understanding code. Properly named functions and variables make the code self-documenting and eliminate the need for many comments. Here is a recap of the Coding Standards from the last article. For UI Scripts it can be anything just no spaces. Certain things you can ignore are issues regarding using a function before it was defined, any complaints about ServiceNow specific objects not being declared (since they are global) and the error Do Not use JSON as a constructor. Other than those exceptions I try to, and recommend you try to, fix all errors reported. == versus === is very important to pay attention to because in MANY places === will break previously working functionality. It is still best to use === and to explicitly compare types correctly or convert objects to strings before comparing. It is most definitely more work NOW but it will save you headaches in the long run. Two Principles that I mentioned before are DRY and SOC. These should be applied when possible. It is important to understand how to properly use ServiceNow to implement these principles. Example – Within a series of business rules the same function is repeated and changed only slightly in each business rule. The correct way to apply DRY in this case is to generalize the function so that the “tweaked” part is a parameter and then move that function to a Script Include. It may even be possible at that point to move all the Business Rules to a single rule. Example – Several reports were created as UI Pages that use the same basic layout but with just tweaked values. In this case it may be best to either pass the parameters in the request OR to relocate the copied layout to a UI Macro and then include the macro. Example – The same function is used within Client Scripts throughout the system. In this case moving the function to a UI Script might be the best solution so the function is available to all Client Scripts. The other principle I try to implement is Separation of Concerns. This too goes back to understanding where all the code should be placed in ServiceNow. Example – If styling is included directly in HTML it is best to move that to a Style Sheet record and include that sheet. These principles are not hard rules, they need to be applied with some discretion. If it is the 11th hour before a production push I would not recommend re-factoring all code into Script Includes. This is a growing list of fixes or quirks within ServiceNow which just need to be memorized and looked for. This list will update as I find and create more worst practices. To create a block like this, in your file right before a function you can type /** and enter. This will automatically look at the function and pull out its parameters and returns and create the documentation for you. I used an onChange function here for example but since they wont typically change parameters its not necessary to document each param, just the description. If all of your code lives locally on your system, you will be able to create API documentation automatically with these blocks. I find it a best practice to store every file I work on locally. Typically I will create a folder structure in a directory that is backed up to a service like Box.com. The folder structure can mimic the table structure in ServiceNow, so a folder for sys_script_include, sys_script, sys_ui_script. Or using friendly names Script Includes, Business Rules and so on. Don’t get lazy here! Keeping you files organized will speed things up in the future. -> On a Mac it’s Cmd+Shift+P – the rest is the same.